If you’ve ever sought compassion, support and guidance to improve the life of your family, you’ve come to the right place. 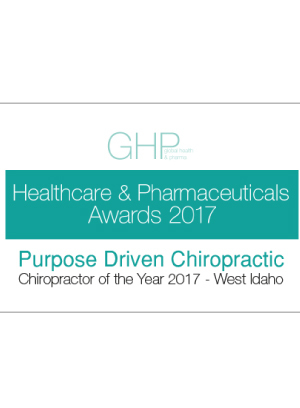 At Purpose Driven Chiropractic, you’ll find that our team of Eagle chiropractors, Dr. Christie Hafer, Dr. Jeremai Hafer and Dr. Patrick Stromer, are here to offer you the expertise in health care that your family deserves. 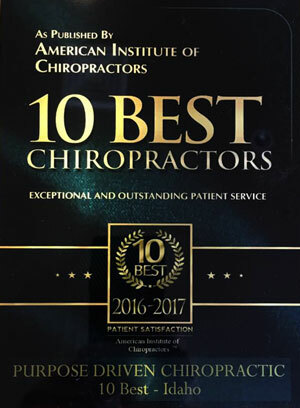 You’ll receive first-rate service that allows you and your family to thrive while getting the most out of your life.In our practice, chiropractic care is for those looking for a higher quality of life in order to provide extraordinary opportunities for their family and children. Instead of just looking at symptoms, chiropractic care looks to the cause and effect of an undesirable condition and often behavior. As chiropractors, we examine the master control system in the body, your central nervous system. Through carefully crafted adjustments for each member of your family, we remove the barriers that are keeping you from ideal health and provide hope. Our ultimate goal for patients is to restore your body’s function and give you it the power to work as it was designed. We believe the body was created, by design, to be healthy, to self-heal, and to self-regulate. We honor and recognize, the significant role environment plays in our health. Though physical, chemical and emotional stressors can sometimes disrupt our function, with specific and effective chiropractic care, our doctors are able to remove disturbances within your central nervous system to create better paths for communication between your internal systems. 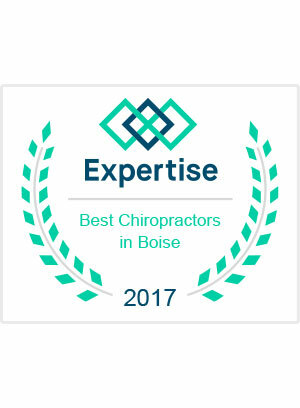 We exist to overcome the status quo in health care — especially pediatric chiropractic care and pregnancy chiropractic care, two of our greatest passions. 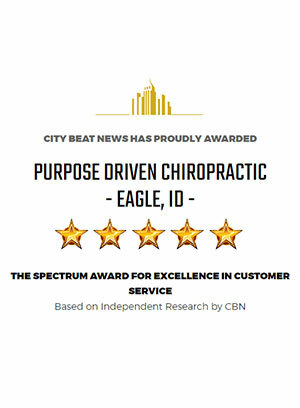 At Purpose Driven Chiropractic, our Eagle chiropractors hope to elevate the degree to which families in our community express health and vitality. 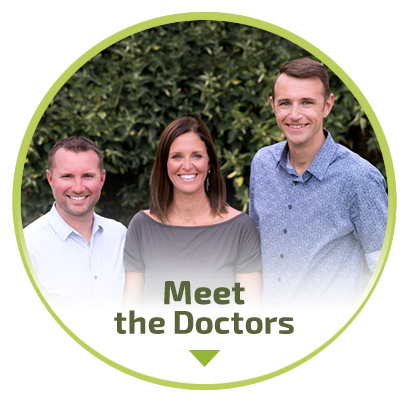 Our doctors provide leadership and empowerment to help patients create their ideal life and achieve optimal health through chiropractic and self-healing. With a strong Christian faith, tradition of family, community, and patient-focused care, we will continue to differentiate from other health care professionals by treating our patients like family, continually evaluating their individual needs and adding new services and technologies to meet those needs. Simply put, our doctors want to be your first choice in family health care. Aside from just creating a community of healthy families, our doctors hope to help patients improve their desire for a higher quality of life, believe in the subordination of medicine and the power of self-healing and preservation of health, with the ambition to reach their full, God-given potential. 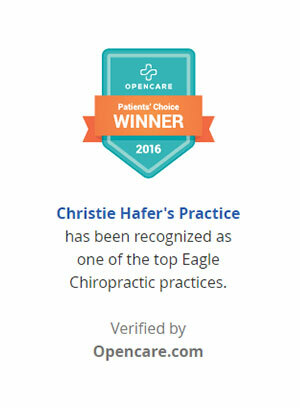 Contact our Eagle chiropractors today to schedule your appointment! We look forward to meeting you and your family as you unlock your true health potential while improving function in your body. At first I was skeptical, but now I am a true believer. I cannot believe how easy my pregnancy was, much better than I have ever imagined. Dr. Hafer put me at ease with her gentle technique and compassion. The office atmosphere and her professionalism left me extremely confident in her care. It set her apart from any other doctor’s office I have ever been to. After three to four months of chiropractic care, my son has improved his physical coordination and strength. This has helped him to run, walk, and play with more confidence and less falling down, injuries, and frustration. He is proud of the progress he has made and enjoys seeing Dr. Christie Hafer during our weekly visits. Dr. Christie Hafer has taken lots of interest and time to really get to know my son and his challenges. She helps bridge the communication gap between other healthcare disciplines and takes it upon herself to discuss treatment plans with my son’s occupational therapist. I really appreciate her caring, patient nature. She made my three year old son feel very comfortable and at ease in her care. She went as his speed and built trust and a lasting relationship! I feel very well cared for by all the members at Purpose Driven Chiropractic. They made us feel like family since day one.